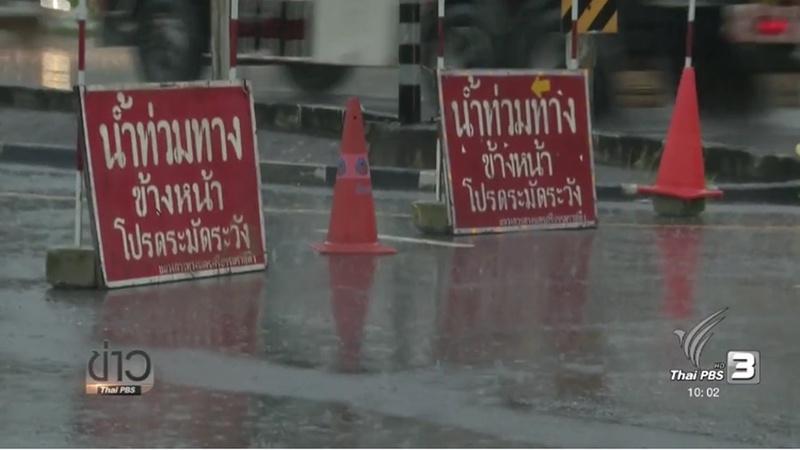 The National Disaster Warning Centre yesterday warned 15 provinces in the South of flashfloods, floods, and mudslides as increasing rainstorms are expected in the next few days. Most worried is Songkhla province as over 200 millimetres of rains was recorded yesterday while scattered rains continued today. The 15 provinces warned are Prachuap Khiri Khan, Chumphon, Surat Thani, Nakhon Si Thammarat, Phatthalung, Songkhla, Pattani, Yala, Narathiwat, Ranong, Phang Nga, Phuket, Krabi Trang, and Satun. People living in these provinces are advised to be cautious as flashfloods, floods, and mud and landslides are expected due to heavy rains expected until weekend.